The idea of a video doorbell is pretty simple - see who's at your door and chat with them from wherever you are; on the couch, at the office or on your family vacation. In reality, the devils in the detail and anyone looking for a video doorbell has a wealth of choices between the different Ring products, without even looking at other brands. Ring was founded by Jamie Siminoff in 2011 to solve a common problem; missing friends dropping by when he was busy in his garage. 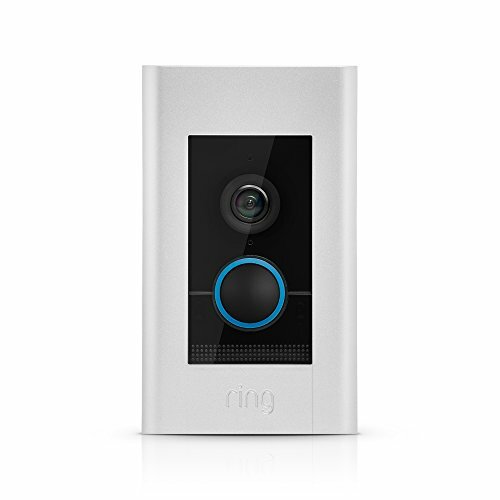 Launched with a single Wi-Fi-enabled doorbell, Ring now offers a stable of video-enabled devices and also a full security system. In ultimate recognition of Siminoff's awesome accomplishment, Amazon opened its wallet and acquired Ring in the first quarter of 2018 for an eye-watering $1 billion price tag. We think this is truly great news and not just for Siminoff's bank balance; we can expect significant investment and continued innovation across the existing Alexa ecosystem and beyond. All of these products help provide you with more control over your front door and greater security for you and your home. And you can now scale up to a full DIY security system for your home in stages and through ADT, enhancing your monitoring options. 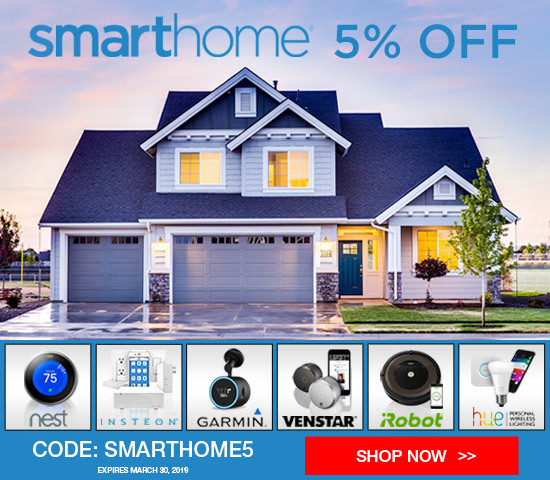 Regardless of what the future holds, you've landed here to find out absolutely everything there is to know about the current Ring Video Doorbell range to figure out which of their doorbells is the perfect fit for you and whether you need to look at other brands to meet your needs. So walk with us and explore all the Ring Video Doorbells, accessories, the subscription plans and the app used to control the device. And expect some surprises along the way! One of the first smart doorbells on the market, the original Ring is a solid product which has stood the test of time. It can be installed in any home, whether or not you have existing doorbell wires, thanks to the inbuilt battery. A rectangular size of 4.98 x 2.43 x 0.87 inches, indicates the Ring is not the smallest on the market, but this is down to accommodating the battery. The device has all the basic features of any connected video doorbell, including customisable motion detection, video/audio recording, and the option to see (from your smartphone or tablet) a live view of who is at your door or moving around close to your home, day or night. However, as one of the first video doorbells and as its price would suggest, the original Ring lacks the upgraded features of its successors. It is therefore positioned more as an entry level video doorbell, for those looking to take the first steps in their smart doorbell journey. So for those looking only for monitoring their door rather than seeking the enhanced security benefits offered by newer and more sophisticated video doorbells, the original Ring is worth exploring. Home renters and those who want to avoid any hard wiring may also find the product an attractive option because of its low price and the fact that it can be run from a battery as well as being hardwired. So let’s take a closer look and delve a little deeper into the pros and cons of the original Ring video doorbell. As with its more advanced sibling, the Ring 2, you can control the overall motion sensitivity and the range. In this case, you can dial back the number of feet the motion detector monitors. Toggling Smart Alerts allows you to guide the camera to track repeated, similar motion and it will alert you when it’s finished. This feature comes in handy if kids are playing in the front yard and you want to mute repeated notifications. Additional Smart Alerts will be available beginning in 2019, including Person Detection, which helps the motion detection to distinguish between people and animals or other motion, as well as Audible Announcements to inform visitors when they’re being monitored. We look forward to testing these new features when they’re available. Hardwiring the Ring video doorbell is straightforward if you have an existing doorbell wiring already in place. All the tools and instructions you need come with the product, including a mounting bracket, diode for use with electronic doorbells and USB charging cable. Installation takes only a few minutes (with a reported average of just 5 minutes). So this is definitely a DIY installation product, even for those of us with very limited DIY skills, with simple easy to follow instructions. The Ring connected doorbell works with the standard mechanical system doorbell comprising a 8-24 VAC doorbell transformer. As noted earlier, if there is an issue, It is likely to be the transformer which needs upgrading. If you have a digital ringer, you will need to install the diode (included in the Ring video doorbell kit). As an alternative to hardwiring, the original Ring doorbell will run from its built in battery. Running the Ring smart doorbell from a battery has obvious advantages, but remember, it only has an external chime, so you will probably want to boost this by buying Ring Chime. In addition, there are a wide array of colour options to choose from however it is also worth noting that you will get various different face plates straight out of the box to truly get the doorbell to fit the style of your house. If you’re wondering about the specifics it’s dimensions are 5” x 2.4” x 0.9’. Just on the off chance that you’re not that numerically minded, this is essentially larger than your original door bell. Unless you have a cow bell as a doorbell, in which case, it’s much, much smaller. In addition it’s also worth noting, considering the doorbell operates over a wi-fi connection that it might be worth picking up a wifi extender if your internet connection is not the best or just out of reach of your doorbell. After the installation is all said and done the next step is to download (iOS and android)and install the Ring app. When you create your profile and sync your camera to your account then you’re all good to go. Unlike the latest version of the Ring doorbell which shoots at 1080p the original Ring doorbell captures footage at 720p. However, the difference in quality isn’t all that notable. Both editions come with night vision, a 180° wide angle lens and on top of that two way communication. Many users have reported choppy video & audio quality coming from the original Ring doorbell regardless of the quality of the connection. Check out the video tests below and decide for yourself what you think? The original Ring video doorbell requires an 802.11 b/g/n Wi-Fi connection @ 2.4GHz and a recommended bandwidth of 1MB per second upload and download. Alongside being able to see and communicate with those on your doorstep from anywhere via an app on your mobile phone, the original Ring doorbell is compatible with smart devices and platforms such as Alexa, Wink and IFTTT. Wirecutter did an interesting test using the Ring with a Wink Hub to automate a porch light when the Ring detected motion at night. According to their tester it worked but with a latency of about 5 seconds. A delay we reckon most people could live with when you consider the price of the device. Retaining many of the attractive features of the original Ring product and featuring a number of upgrades including a removable and rechargeable battery pack, so you can have a spare pack fully charged and ready to go. This offers fantastic versatility and is unique in the smart doorbell market, it's no wonder the Ring 2 is such a popular buy and our top pick for most people. So let’s take a closer look at the pros and cons of Ring 2 which offers all the great features of the Ring connected doorbell and more. The view range for the Ring 2 is 160 degrees horizontal and 90 degrees vertical, with an IR motion detection and wedge mounting options available, it works well in most doorways. Ring 2 comes with all the tools and screws needed to hardwire the device, along with an adaptor plate, wedge and corner install kits to suit your door. Like the original Ring, it is easy to install, taking only a few minutes for even those of us who have only basic DIY skills. It is compatible with 8-24 VAC doorbell transformer, like the original Ring video doorbell. If you cannot face the idea of wiring Ring 2, the quick release battery pack that is included with the product is a great advantage over the original Ring video doorbell. You can also purchase spare rechargeable battery packs and a charger, alongside a solar charger if you prefer this option. Interchangeable Satin Nickel and Venetian Faceplates are included in the package to blend with your door and door furniture. Providing 1080p HD video, a step up from the 720p HD in the original Ring Doorbell. This means crisp and clear images together quality sound. The video will keep recording until you press ‘hang up’ on your phone to end your chat with any visitor. Like the original Ring video doorbell, Ring 2 requires an 802.11 b/g/n Wi-Fi connection @ 2.4GHz, with a recommended bandwidth if 2 MB per second upload and download. Ring is compatible with Ring’s home alarm system and many Smart Home Hubs and other devices, giving you a long list of options - IFTTT, Wemo, Wink, Google Home, Alexa and Nest. You can even for example integrate Ring 2 with an Echo Spot or Show, to see a view of your doorstep live, through asking Alexa to show Ring. If you are looking to go down the full security journey with your home, as well as the Ring alarm system, Ring 2 is compatible with some monitored home security systems such as ADT, Smartlink and Lockstate. Now that we’ve gone through the operations and background of both versions of Ring doorbell it’s time to decide which is worth the purchase or is the Ring 2 even worth the upgrade from the original Ring doorbell. The original Ring doorbell retails at $180 MSRP. In contrast the Ring 2 doorbell retails at $200 MSRP, only $20 extra. 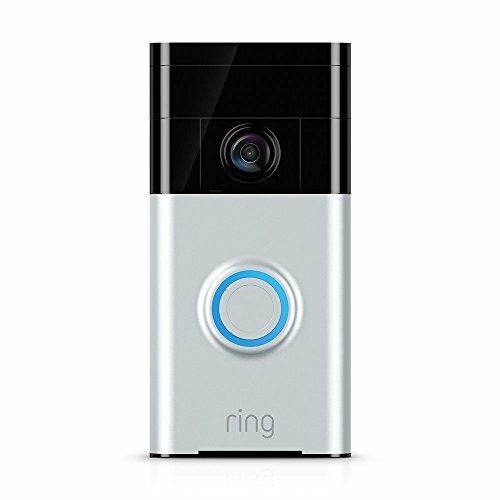 In terms of design, it’s strangely worth noting that the original Ring video doorbell is both smaller and thinner than the Ring 2 but only marginally, it’s not even noticeable. Unless you’re freaks like us. Despite the design, the Ring video doorbell 2 brings new bells and whistles (excuse the pun) to the game. Firstly, the camera has made a leap from capturing video in 720p to 1080p. In all honesty, we were not blown away by this upgrade mainly due to the fact that we couldn’t see much difference in image quality. Furthermore, as we’ve already mentioned, the Ring video doorbell 2 comes with various face plates. Allowing you to customise your doorbell to your liking. Finally, the Ring 2 video doorbell comes with a removable battery pack which we found really useful for charging the doorbell as the battery dies out. Unlike the original Ring doorbell which had the battery pack built into the device. This feature alone we found to be worth forking out the additional $20 for. At the end of the day, it’s your choice if you want to spend the extra $20 to upgrade. If you’re upgrading it might not be worth it however if you’re purchasing for the first time it’s more logical to go for the Ring 2 video doorbell. The Ring Pro video doorbell is the smallest model in the Ring stable at 4.5 x 1.85 x 0.8 inches and weighing just 9.6 ounces. An attractive proposition for those with limited doorframe space. It has all the benefits of its two predecessors (except battery power) and packs additional punch in terms of features and quality. In particular the Ring Pro stands out for motion detection quality and control. However it is more expensive than the Ring or Ring 2 video doorbells and is a hardwire option only. Ring Pro shares the same low subscription plan for video storage as Ring and Ring 2, and all three models share the added bonus of the Ring Neighbors features for subscribers. The Ring Pro has a slightly different design from the Ring and Ring 2, although it maintains a similar rectangular shape, it is much neater. To make sure your extra $50 is spent wisely, it is worth delving a little deeper into the Ring Pro, to make sure its features are right for you and your home. So what are the main pros and cons of the Ring Pro Video Doorbell? There is no battery to fall back on, so hardwiring the Ring Pro is a must. A DIY option like the Ring and Ring 2 smart doorbell cameras, installing Ring Pro has more steps and takes longer. Installation takes approximately 15 minutes, depending on your DIY skill level. In addition to connecting the Ring Pro to your existing doorbell wires, Ring Pro comes with a Power Kit which needs to be connected to the actual mechanical or digital unit of the existing doorbell, wherever this is located in your home. However, the Ring Pro Power Kit is not universally compatible with all doorbells. It is compatible with those that have AC-powered transformers operating between 16-24 volts according to Ring, but like most of today’s video doorbells, it is not compatible with any wireless bell or bell/intercom system using a DC transformer. A detailed list of Pro Chime Kit compatible products is available on the Ring website and app. This list covers both mechanical and digital Chimes as Ring Pro is compatible with both. This unique feature will stand it in good stead as most homes have either a mechanical or digital chime set up. If you zone out at the thought of searching for the actual doorbell units, AC power and installing a power kit, seeking professional help with the Ring Pro Installation is probably a good plan and will get it working with the rest of your ecosystem quickly, like your smart lights from Hue or Lifx. We look forward to the planned 2019 roll out of the additional smart alerts including person detection and auditory announcements to let visitors know when they are being monitored, for Ring Protect subscribers. Unlike the Ring and Ring 2, the Ring Pro can connect with a 5 GHz WiFi network, as well as 2.45 GHz. The recommended bandwidth is 2 MB, like the Ring 2 and Ring Pro. 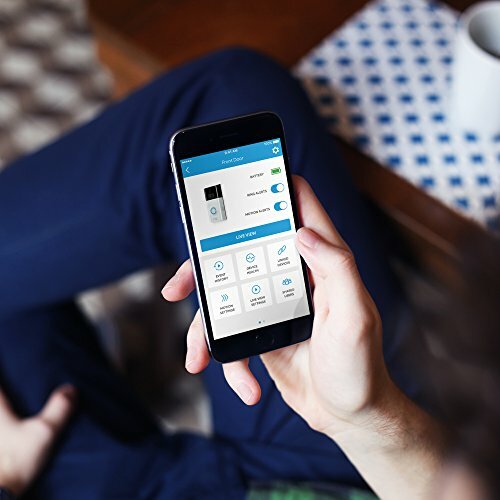 Through the app, the Ring Pro connects to and is compatible with a number of other smart home systems such as Wink Hub, Alexa, Wemo switches, ADT Pulse home security system and Smart Locks products. This versatility opens a whole host of possibilities for you and your home in relation to linking to other smart home devices for security. At first glance you’ll notice that the Ring video doorbell is much smaller and slimmer than both the original Ring & Ring 2 doorbell. In our opinion, the design is much nicer. In addition, it also comes with various face plates like the Ring 2 doorbell so you can customise it to your liking. Furthermore, the Ring Pro also supports both 2.4ghz & 5 ghz Wi-Fi which means you should have a faster camera also. With a starting price of $250 MSRP it’s only $50 more than the Ring 2 doorbell. Which leads us to our next question, is it worth the extra $50? Firstly, unlike the other two Ring doorbells, the Ring Pro is a strictly hardwired device (no rechargeable battery). In this case, if you’re not overly bothered by price and are comfortable with a bit of DIY hardwiring then the Ring Pro is the one for you. To keep things short and sweet without a doubt the Ring Pro is a much sleeker looking device with a range of customisable faceplates. Option to hardwire or use battery pack. Despite the fact the pro is lacking a rechargeable battery pack it is still the clear winner when it comes to features. Especially for first time purchasers assuming you have the hardwiring requirements covered. Moving on to the video and audio quality, the video doorbell pro records at 1080p full-hd quality with a 160-degree field of view similar to that of the Ring Video Doorbell 2. In addition, the Video Doorbell Pro offers a two way communication with noise cancellation. Again, nothing new here that’s not already in the Ring Video Doorbell 2. The Ring Elite is the most expensive of the four Ring video doorbells and like the Ring Pro, Ring Elite is a hardwire option only, but this is hardwiring with a difference - the Ring Elite is powered by Ethernet through the Ring Elite Power Kit. Although all the kit needed is supplied and Ring instructions are clear, this video doorbell requires professional installation. Visually similar to the Ring Pro, the Elite Ethernet powered doorbell is slightly larger at 4.5 x 1.85 x 0.8 inches. You get the same great features as the Ring Pro and more, but is it worth paying the extra for? Let’s look in detail at the Ring Elite, to see what you are getting for your money. A professional installation is needed for the Ring Elite. It is Ethernet powered with no battery or AC transformer option. It is a serious video doorbell for those serious about security and comes at a high price. So the decision between the two comes down to how much you are willing to pay for a stronger and more reliable connection. The Ring Elite like the Ring 2 and Ring Pro, has 1080p wide angled HD video camera, with built in night vision and LED technology. However, as this is a permanent and fixed connection to your router via the ethernet cable, you will be guaranteed the connection won't drop as long as your router is connected to the internet. This also means you reduce and eliminate most of the latency users experience with a WiFi only connection. Good news if you can stomach the cost and also have the option to run a dedicated ethernet cable from your router to your front door. The Ring Elite power over Ethernet connection has a dual function, providing direct connection to the internet and the power for the doorbell. The direct Ethernet connection allows you to connect to other smart home devices via your router and is a much more constant and secure connection than WiFi. However, if for any reason you are unable to connect the Ring Elite doorbell to your router, you can use the injector to supply power and your WiFi to transmit data. Whether Ethernet or WiFi connected, the Elite is compatible with the same products as the Ring Pro. When it comes to differentiating between the Ring Pro and Ring Elite there’s very little to distinguish between them other than the ethernet power and communication capability found in the Elite. So for most people and for most use-cases, we'd opt for the cheaper of the two and save that money for other smart gadgets for your home! However, does the Ring Elite offer enough features in order to justify the premium price tag? When it comes to security this is where Ring Elite takes precedent over the Ring Pro through its operations over ethernet. Unfortunately, it does require professional installation when compared to other devices. In contrast, the Ring Video Doorbell Pro, is a great replacement for your original doorbell. There’s no need for professional installation (although there is still some installation). All you have to do is hardwire it to your already existing doorbell cables. Considering it acts over Wi-Fi it might not be as reliable as the Ring Elite. If you’re not looking for any complicated installs then you should consider the original Ring Video Doorbell or even the Ring Video Doorbell 2. Get ready to replace your peep hole with the Ring Door View Cam. This neat little device jam packed with a full hd camera offers greater security to your home. Instantly get notified when someone presses the built in button the device, knocks on the door or sets off the motion sensor. From your mobile phone you will be able to respond to the alert by being able to see, hear and also communicate with whoever is at your door. Regardless of whether you are home or not. Throughout the day you’ll be able to track who’s coming and going from your home whether you’re there or not. As a result, you’ll be able to tell delivery drivers where to leave a package, tell your friends that drop by you’re not at home and tell door to door salesmen to go away without even having to answer the door. Most importantly, you’ll be able to see who’s trying to scope out your house if they decide to break in. With every great piece of hardware comes a great piece of software in this case it’s the Ring companion app, available on iOS, Android, Mac or Windows desktops. Bottom line, as most of the time you'll be using your smartphone to access your doorbell, interact with callers and monitor motion alerts, the app needs to be reliable and user-friendly. Good news, the app is knockout - both easy and intuitive to use - and if you own more than one device from the Ring ecosystem such as one of their security cameras, you have one app to rule them all. Whether you want to grant access to the device so a family member can answer the door, check /update /disable motion sensitivity and alerts, see how battery life is looking or even view live stream from your front door, the Ring app has you covered. We all know the experience you get from your tech comes down to the interface you use to interact with it...Ring have knocked it out of the park. 5 out of 5 stars from us! So here's the thing, to unlock a lot of the potential your Ring doorbell has to offer, you're going to need to explore one of the Ring subscription plans. We’ve already mentioned that in our experience we found the basic plan to blend well with our devices but that doesn’t mean we don’t prefer plus as avid users of Ring devices. Let’s run through as to why plus is better than basic. If you have numerous of cameras with Ring then you’ll start to notice the bill run up when you’re on basic. One of the benefits of plus is that you won’t be charged extra regardless of the amount of cameras you may have as plus charges per location as opposed to per camera. In addition, all of your cameras are covered on plus in event of damage. Of course, plus is really only needed if you own more than 4 cameras at this point it works out to be the better option. Did we mention you also get further discounts with plus? Oh yeah we did! Perhaps you’re wondering what are the advantages if you own less than 4 cameras? Well, this is it. Protect plus offers a 10% discount on purchases made via the Ring website. In addition to the generous discount you will also receive an extended warranty on your devices for as long as you’re subscribed to protect plus. Lastly, if you own a Ring alarm security system and are subscribed to Ring protect plus you’ll received 24/7 professional monitoring of your device. Just think about it? Your own private security just without the muscle. Other established companies such as ADT & Frontpoint can’t even compete with this deal. If you’re convinced and would like to subscribe head on over to Ring.com or go to the account section on your Ring App and sign up! Silicone skins or covers are available for Ring, Ring 2 or Ring Pro video doorbells. These waterproof covers are manufactured by third parties and model specific (compatible with only the model stated) and are available in different colours. A selection of mounting options are available for the suite of Ring video doorbells, all aimed at helping you to adjust the viewing angle of the camera, to capture the range of view that best suits the mounting location and your unique viewing needs. They are all supplied with corner brackets, mounting screws and anchors, together with easy to follow instructions. Corner kits allow you to angle your doorbell towards your walkway to get a better view of who is coming to your door and to aid motion detection. The kits come with 2 or 3 stackable wedges to adjust horizontal viewing by 15 degrees for each wedge (30 degrees for 2 wedges and 45 for 3). The wedges are paintable to match your door/mount location. The Ring and Ring Pro have an initial white colour, whereas the Ring 2 is delivered in an initial black. Corner kits compatible with Ring video doorbells are also available from third party sellers on Amazon. Their exact specification in terms of number of wedges and colour, vary with the manufacturer (as does the cost). Wedge kits help you adjust the vertical field of view if your video doorbell is for example higher than your yard, or you want to mount the bell against an angled siding. Available from Ring, these kits for the Ring, Ring 2 and Ring Pro video doorbells allow you to adjust the vertical viewing angle by 5, 10 or 15 degrees. Like the corner kits, the Wedge Kits come with everything you need and are paintable to fit your doorbell location. Wedge kits compatible with Ring video doorbells are also available from third party sellers on Amazon. Their exact specification in terms of number of wedges and colour, vary with the manufacturer (as again does the cost). 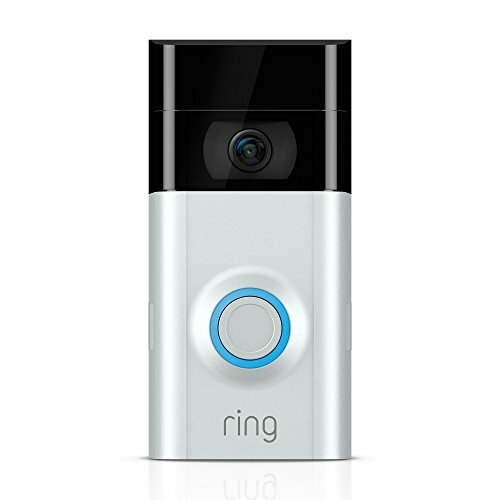 A second quick release rechargeable battery pack for your Ring 2 video doorbell is available from Ring at $29 MSRP. This rechargeable battery is also compatible with the Ring Spotlight Cam. The battery packs swap in and out of Ring 2 by simply pressing the quick release tab. The battery can then be charged using the micro USB cable. An alternate solution for recharging your Ring 2 batteries, is a battery charge station. A number of dual battery pack charge stations are available from third party sellers on Amazon. There is also the option of recharging Ring 2 batteries via a USB charger adapter cable for charging at a 2-Port Wall socket, this can charge two Ring Rechargeable Batteries at the same time. It is available from third party sellers on Amazon. No need to worry that your Ring or Ring 2 batteries are running out, there are a couple of third party universal power adapters available on Amazon and plug directly into your Ring 2 video doorbell charge point at one end and your home power supply at the other. Cables are long enough to connect to the nearest wall plug socket in your home. Easy to install and weather resistant, these charging mounts are model specific. So the Ring solar charging mount will only work with the Ring Video doorbell, not the Ring 2 and vice versa. Both the Ring and Ring 2 solar mounts need direct sunlight, but only a few hours a day will keep the video doorbell batteries charged around the clock. Weather resistant and operating between -20.5 and 48.4 C, these solar charging mounts are available from Ring and Amazon. Ring Chime and Ring Chime Pro are internal chimes for your Ring video doorbells. They are essential for battery operating Ring and Ring 2, if you want to hear someone actually ring your video doorbell (aside from the alerts via the app), when you are inside your home. If your Ring video doorbell is hardwired to an existing door bell, Chime is still invaluable for those with a larger home or when you and your phone are not in the same room. Ring Chime enables you to hear/receive notifications from your video doorbell from anywhere inside your home and connects to any Ring video doorbell or security camera. Just plug the Ring Chime into any household socket, choose which ring tone you like, connect to your Ring video doorbell (via WiFi and away you go). You can adjust the volume and even opt for a ‘do not disturb mode’ if you want peace and quiet. You can have multiple Chimes in your home if needed. The Ring Chime requires 4 Mbps for all 1080p Ring devices and 2 Mbps for 720p devices. Chime operates on a 802.11 b/g/n Wi-Fi connection @ 2.4GHz only and 110-240 VAC power. The iRing Chime Pro is a scaled up version of Ring Chime. The volume has been improved and Chime Pro also acts as a WiFi booster or signal extender. The result better connection between your Ring devices and your smart ecosystem by increasing signal strength and coverage area. Improved connection increases performance and ensures you never miss a caller, wherever you are in your home. Chime Pro has the same specification for WiFi and Mbps as Chime and is compatible with all Ring Video doorbells and security cameras. In addition, Chime Pro is compatible with Wink, Wemo, ADT Pulse, Kisi, Lockstate and Kevo. Ring has a number of spare parts kits to support their products, rather than providing single spare parts. A Ring 2 black or white face plate - easily removed at any time. Comes with security screw to prevent theft. Their spare parts kits vary with each product and with each doorbell model - Ring, Ring 2 and Ring Pro. The kits and include everything you need to set up your product of choice simply and quickly. They include for example a screwdriver, mounting bracket, charging cable, security screws, mounting screws, drill bit, spade connectors, wire nuts or extenders, adapter plate and stickers. Are you already running a multi-Ring device setup, or thinking about jumping in with your first Ring doorbell? Drop a comment below and share your experiences and ask anything we may not (yet!) have covered in the article. Whatever stage you’re at, we hope you found this guide useful and look forward to hearing from you!